Payday lending has been front and center of the news recently. The Consumer Financial Protection Bureau (CFPB) recently proposed new rules that would end payday loan debt traps. 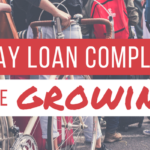 Although more than a dozen states have capped and/or prohibited payday loans, the industry continues to thrive in over 30 states. 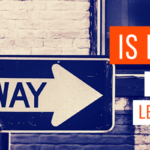 The rules recently proposed by the CFPB would require lenders to determine whether or not a person can actually afford a loan before approving it and would offer more relief to the borrower, theoretically ending the payday loan debt trap. 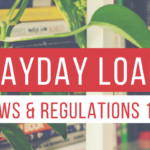 The current laws and regulations governing the payday lending industry apply to payday lenders, and the proposed rules would, as well. But what about the payday lenders that evade these laws and regulations altogether. What about the lenders who bypass them … legally? Here are some important facts to know. What is tribal payday lending? With increasingly stringent rules and regulations, payday lenders began looking for legal loopholes, and they found their answer with tribal payday lending. To evade the laws and regulations of the payday lending industry, lenders will locate their business entities on Native American reservations, where state laws don’t apply “due to total unenforceability deriving from tribal sovereign immunity.” According to this article, this tribal payday lending is referred to as “rent­a­tribe”, and it’s become a popular loophole for many online payday lenders. Rent­a­tribes typically involve two parties: the Native American reservation and a non­-native lending company that handles the entire financial part of the transaction. Online tribal payday lending is not just a legal issue for the courts. This is something you should be aware of. So, what should you know? Since Native American reservations are separate sovereigns, they are subject to suit only under limited circumstances. According to the American Bar, this is specifically “when the tribe has voluntarily waived its immunity, or when authorized by Congress.” For the borrower this means if he/she ends up in a position of dispute with a lender that is located on one of these protected lands, there aren’t many legal actions that can be taken. charged fees much higher than the originally agreed upon amount, their wages were garnished unlawfully, and more. Unfortunately, because of these lender’s inherited sovereign immunity from the Native American reservations, there’s not much that can be legally done to protect these borrowers. As these “rent-­a-­tribe” arrangements are becoming increasingly more popular, it’s important to make yourself aware and protect your finances. Beware: not all online loans are regulated. This means they don’t necessarily have to comply with consumer protection laws. To find out if an online lender is licensed, consumers must read the fine print on the lender’s website. The CFPB recommends verifying the lender’s information with your state banking regulator or attorney general to find out whether a payday lender is licensed to do business in your state. The best way you can protect yourself from these tribal lenders is to stay away from online payday lending altogether. We work with hundreds of consumers every week who’ve gotten caught in the payday loan debt trap, whether it be with licensed or unlicensed lenders. If you’re currently dealing with the overwhelm of payday loan debt, contact us today. Our team will work with you to contact all of you lenders, get them out of your bank account, take back control of your finances, consolidate your loans, and get rid of your debt. The Payday Lending Debate: Is it Moral?